Three of our pups were adopted this week! Congratulations to Jason, one of the black Schnauzer mix pups and the chocolate schnauzer mix puppy! 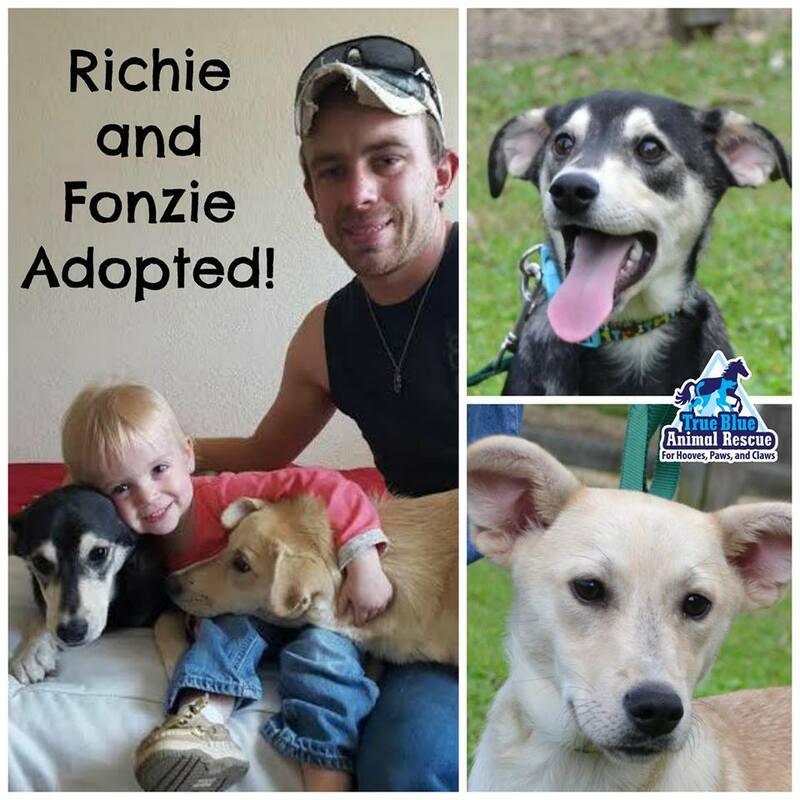 We are so happy to see these rescue pups go into loving forever homes. 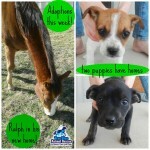 We still have lots of puppies, dogs, cats, kittens and horses looking for homes. 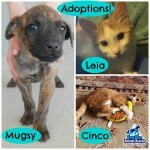 Take a look at our adoptable pets and see if there’s one that you’d like to adopt. Then call 936-878-2349 or email help@t-bar.org and we’ll arrange for you to meet them! 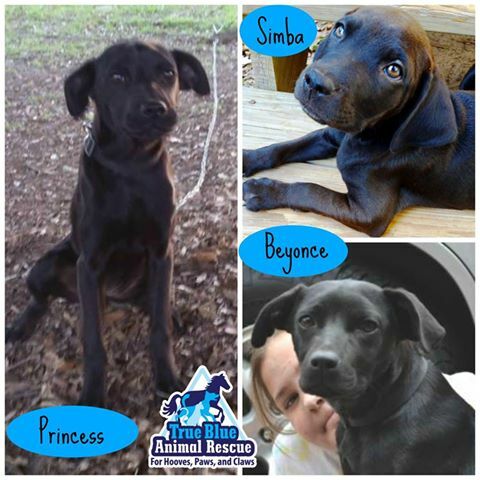 These three pups have all been adopted thanks to a wonderful foster home’s networking. Animals get adopted from networking. 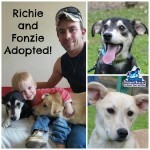 Sometimes it’s our petfinder or our website, sometimes is facebook and sometimes the foster home finds them all homes. That was the case with these three lucky pups! Thanks Sarah for all your work making sure these pups are in good and loving homes! They were lucky to have had you on their side. If you’d like to foster or adopt check out the animals that need homes and then email help@t-bar.org to let us know. Success Stories: Stripes and more! 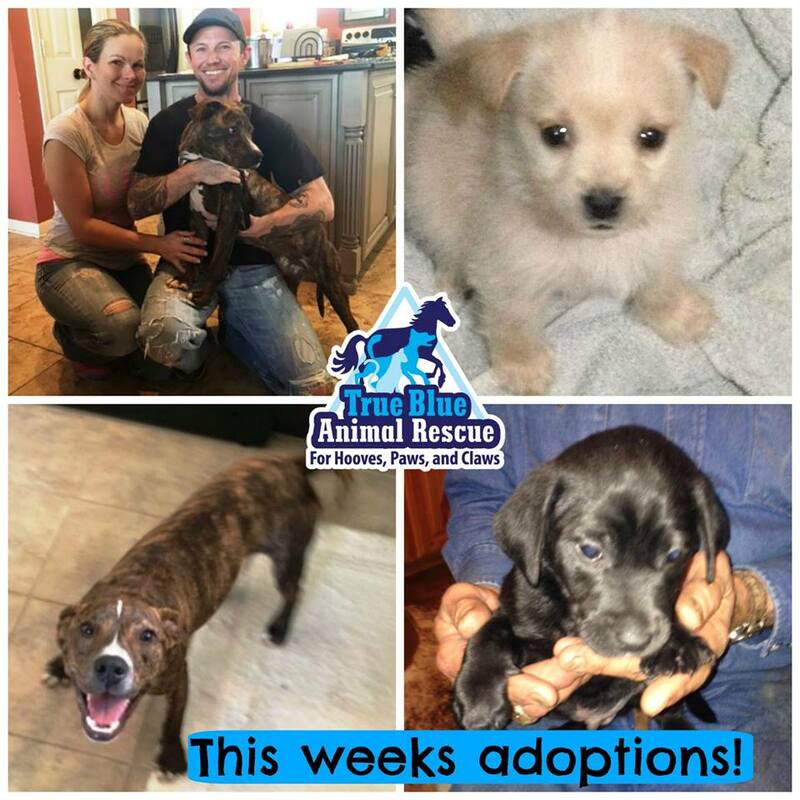 More adoptions this week! 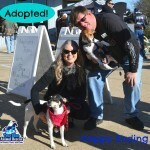 Stripes found his forever family and so did two of the schnauzer mix puppies! Stripes is smiling because he has two doggy siblings and a family of his own. 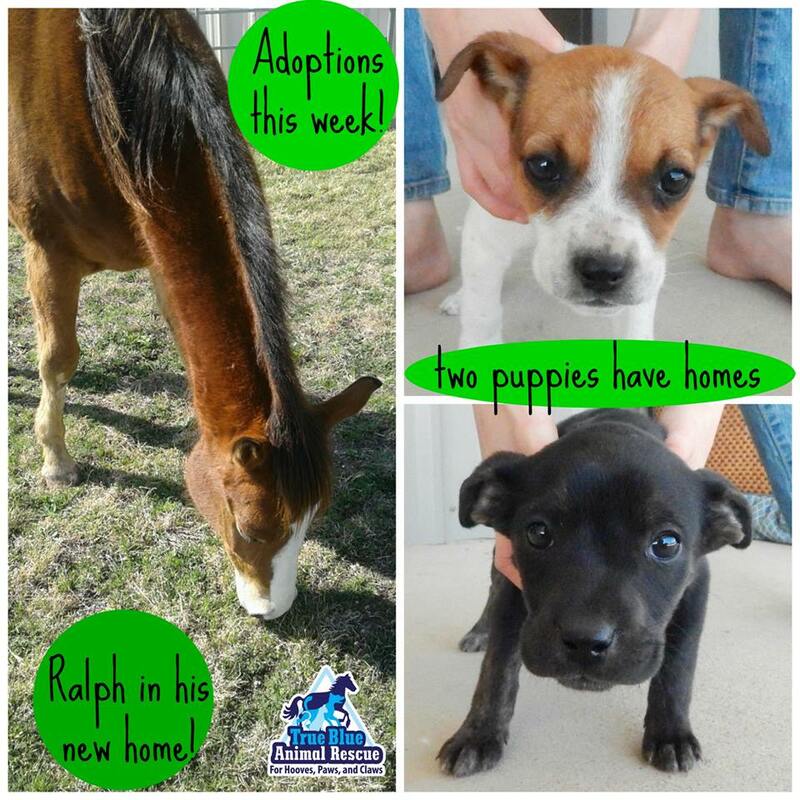 We still have more dogs, puppies, cats and horses that are waiting for their forever home. When one gets adopted we get to rescue more. Help rescue more animals by adopting your next pet. Go to www.t-bar.org and see if there’s one that you would like to meet. Then email us at help@t-bar.org or call 936-878-2349 for more information on how to adopt! 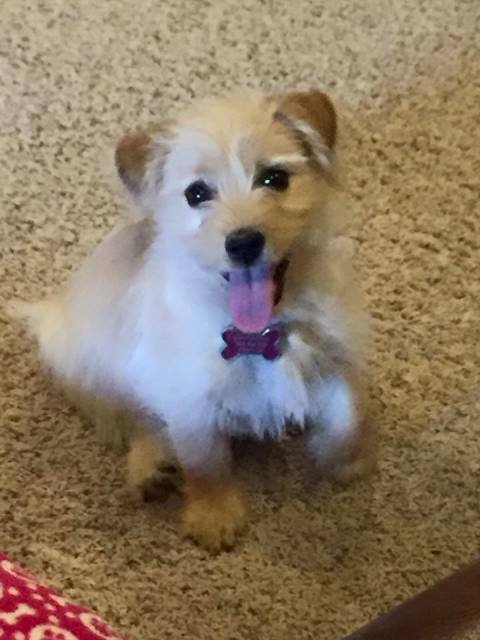 Update: April 30, 2016 – Here’s an update on one of the schnauzer mix puppies named Marley by her new family. How cute is this girl! 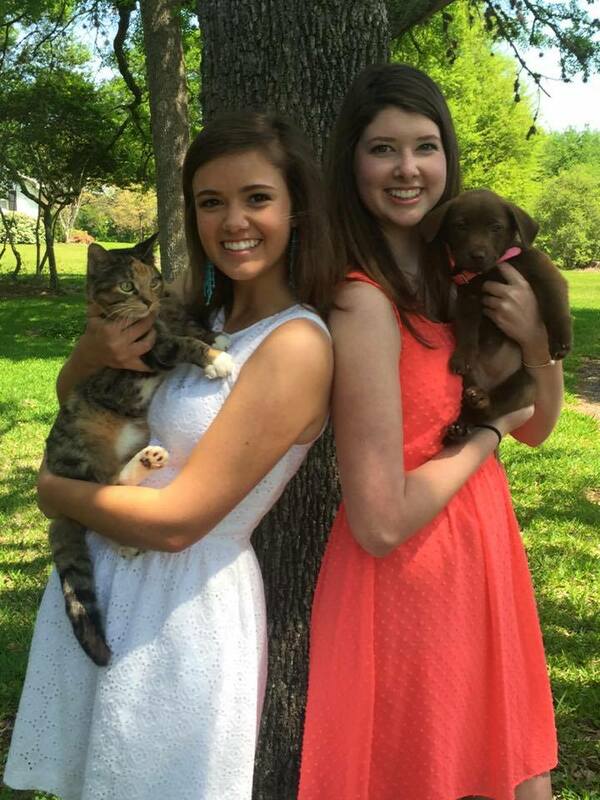 Two of our dogs were adopted to a wonderful family during our Petsmart adoption day on Sunday, March 13! We are thrilled knowing that they are both in a loving family that will be spoiling them the way they deserve to be spoiled. If you are thinking about adding a pet to your family check out our web site www.t-bar.org and see if one of them is right for your family. Then call 936-878-2349 or email help@t-bar.org and we’ll arrange for you to meet and adopt! Success Stories: Leia, Mugsy, and Cinco! Three of our animals were adopted this week. Mugsy went to his new forever home over the weekend. Princess Leia went to one of our shelter partners, Aggieland Humane Society, where she found her forever home and Cinco’s foster Mom decided she could not let him go and decided to adopt! We couldn’t be happier for them all! 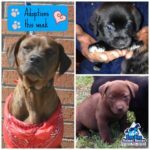 If you’d like to adopt a puppy, kitten, dog, cat or horse, check out our web site www.t-bar.org and then email help@t-bar.org or call 936-878-2349 to let us know! 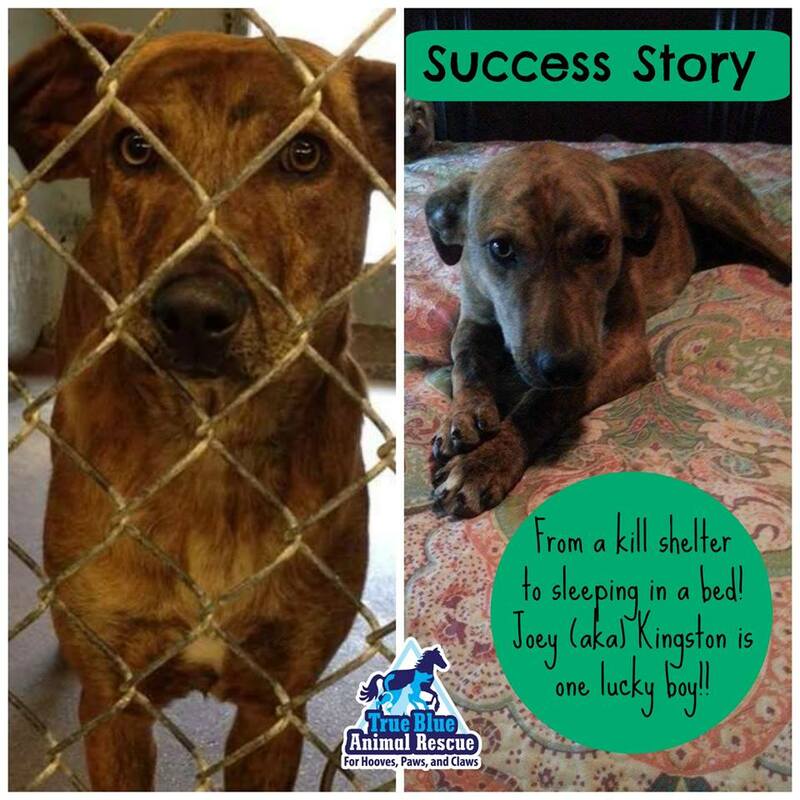 Kingston, now named Joey, is adopted! This sweet dog was at the shelter and on his last days before euthanasia when Kelly offered to foster him and save his life. Lucky for this sweet fellow Kelly and her family fell in love with him and decided to adopt. We call this a foster failure and we LOVE foster failures because that’s one more pet that gets a home of their own for life!! Thank you Kelly for joining our long list of foster failures. We hope this list keeps growing. If you’d like to adopt a dog, cat or horse, please visit our web site www.t-bar.org to see all the animals that are waiting for their forever home. Take advantage of our half off adoption fees for dogs and cats this month too! 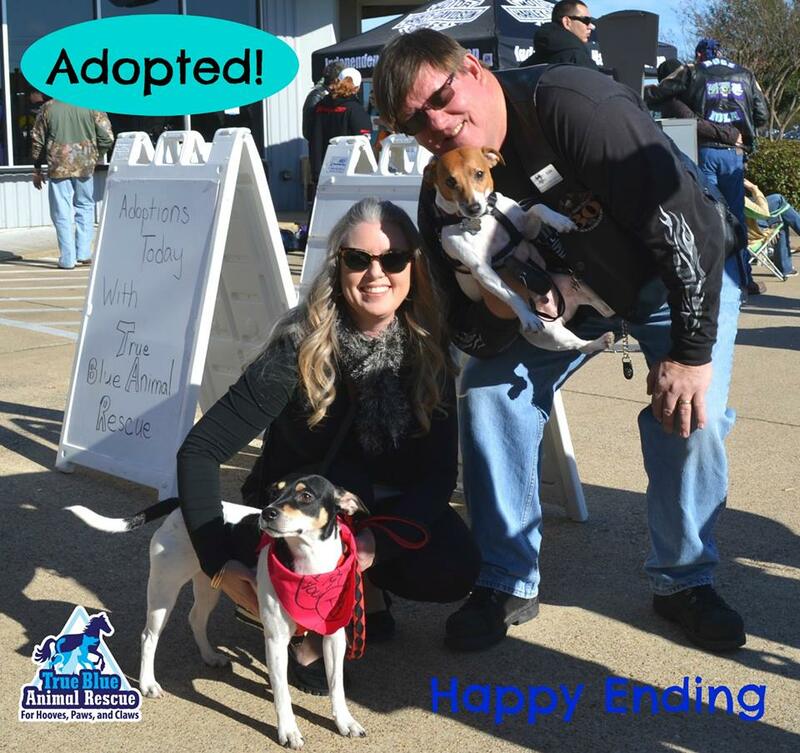 The chili cookoff at Independence Harley Davidson was a great fundraiser and a fabulous adoption day too! 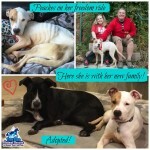 Our dogs got a lot of attention and this sweet girl, Nina, found her forever family too! Here’s a picture of Nina with her new Mom and Dad and brother Jack. If it all works out Nina’s new name might be Jill. (Jack and Jill) How cute is that! Please consider adopting one of our rescue pets. 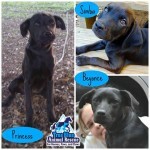 Go to www.t-bar.org and take a look at the dogs, cats and horses that are waiting for their forever home. This sweet little dog was abandoned at the shelter in Harris Co, Texas. 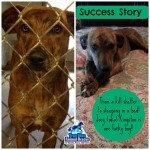 She was emaciated and had no chance of surviving in a shelter. A True Blue Animal Rescue foster home offered to take her in and help her find a home. Her transporters named her Peaches because she was so sweet. Two weeks later this precious girl was feeling much better and at an adoption day when Elissa and Shane saw her and fell in love. 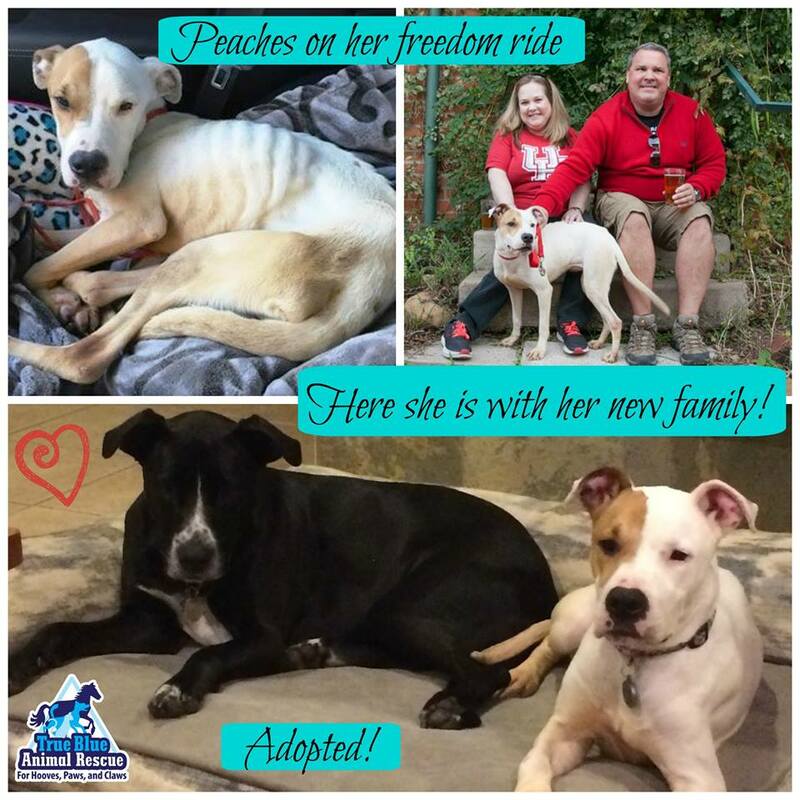 Peaches is named Shasta now and couldn’t be more happy in her new home with her new family. Shasta would like to thank all the people who helped her get to safety and to those who donated toward her care. She’s one of the lucky ones and she knows it! Please consider adopting. 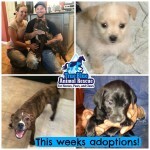 Go to www.tbar.org and see if we have one you’d like to adopt.